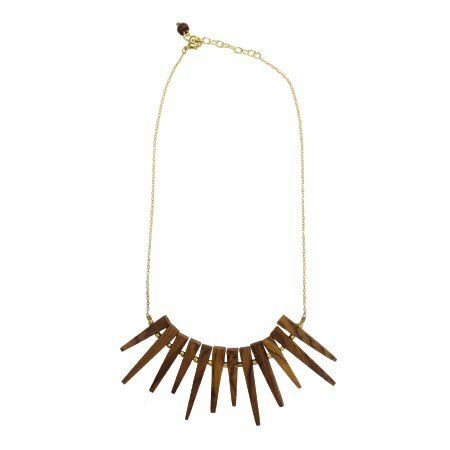 Alternating lengths of smooth wooden spikes and brass beads create a starburst effect. Delicate and natural, yet strikingly statement-making. 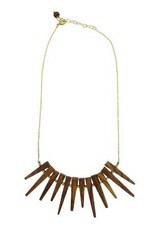 Brass chain measures 18” + 2” extender. Handmade by women artisans in India who are improving their lives and communities through fair trade.